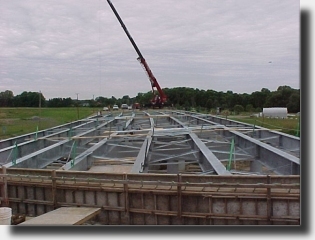 Young Galvanizing, Inc.- Why Galvanizing? Why are we talking about Galvanizing? Corrosion prevention! Steel in it's unprotected state will rust, trying to get back to it's natural state. Corrosion of steel is an electrochemical reaction between your steel and the environment. Very expensive for you to repair once it has taken place! from a 30 year old bridge deck. Hot Dip Galvanizing(HDG) is the immersion of steel into a bath of liquid, molten zinc, for the express purpose of corrosion prevention. This process was patented in the 1800's, it is very well proven and is very predictable. The 850 degree bath imparts a metallurgical bond between the zinc and the steel. 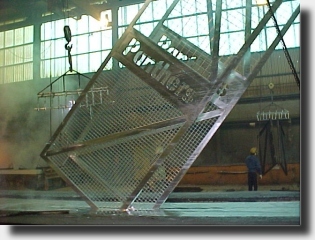 It is this bond that makes galvanizing a very tough, durable, long lasting and abrasion resistant coating. About the zinc coating; Four distinct layers of zinc and zinc alloys are formed on every piece of HDG steel. Three of these layers are actually harder than the base steel, providing excellent abrasion resistance and long lasting barrier protection. The micrograph below shows the four layers of zinc and their hardnesses. Galvanizing protects in two ways! 1.) The tough barrier protection that we already talked about. It can withstand 3600psi of pressure, some paints only 350psi. 2.) Cathodic protection, often described as self-sacrificing. 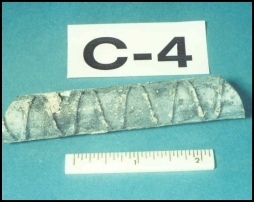 If the zinc surface is scratched, surrounding layers of zinc will electrochemically protect the exposed metal. Zinc by-products also protect the zinc. As the free zinc layer weathers, zinc by-products prevent further deterioration of the zinc layer, which in turn protects the steel. 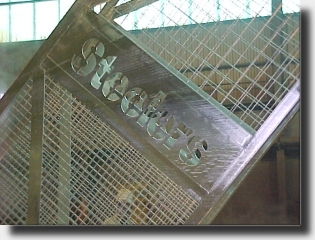 Between these two types of protection your steel product will be given a much longer lifespan than would be possible with any other system. For a lot less short and long term cost! As a project manager, fabricator, engineer or architect, your job is to perform miracles and accurately estimate what the long term costs are going to be. You are required to find the best practical form of corrosion protection that can be applied for minimal cost while providing the longest service life possible. Four ways HDG reduces costs. 1.) Initial costs. These are the costs involved in first installing your corrosion protection system. With paint, be sure to include surface preparation costs. HDG can be expensed over the life of a project. 2.) Maintenance costs. With paint, additional cost of surface preparation, materials, labor and removal of residual paint, disposal will be necessary. This will usually be required several times over the life of the project. Not with Hot Dip Galvanizing! 3.) Life cycle costs. These are the initial costs plus all maintenance costs to maintain a corrosion prevention system. 4.) Intangible costs. These are the costs that are more difficult to put a dollar value on. 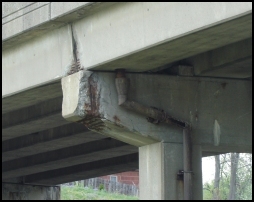 They include costs resulting from slowdowns and shutdowns of production and traffic problems if replacing bridges. For a more comprehensive study of this subject and how galvanizing costs compare to other systems please contact Young Galvanizing and we will be happy to supply you with all the information we have. Complete Coverage. Inside surfaces as well as outside surfaces are given equal protection, and any place where you see the zinc layer you can be sure you have the bonded protection. Edge Protection. Because the zinc reacts with the steel it forms an equal layer at every point, so edges are protected just as well as flat surfaces, often better, with a thicker layer of zinc. Quick Processing Time. The HDG process is not weather dependent. Young Galvanizing works hard to get your product back ASAP! No Handling Problems. HDG is tough, so no special handling requirements are needed. This is especially helpful in rebar applications. Few Size Considerations. 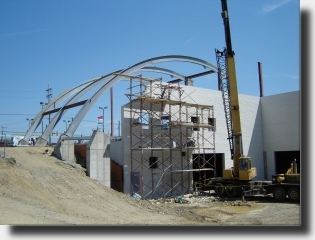 Nearly anything can be galvanized, from larger structural pieces to small fabrication pieces. Environmentally Friendly. Zinc is essential for all life, and can be found in most minerals. Nearly 30% of the world's supply comes from recycled zinc. Some doctors say it even fights the common cold! Long Term Protection. A typical galvanized surface in a rural environment can be expected to last up to 75 years before it reaches first maintenance or a 5% breakdown of surface protection.